Log on to the WedBush Clientlink web site. From the Account menu, select Activity. In Account Activity, choose the date range to download, then click GO. Once the data has displayed, click on the link to Export Data. 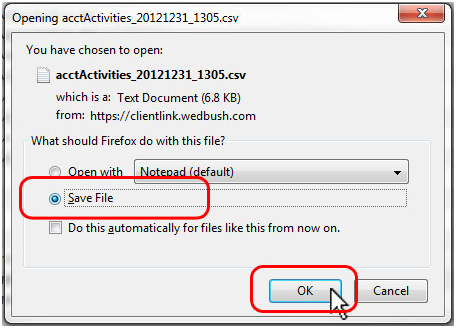 This step may vary depending on your browser and settings: When prompted, Save the file to your computer. We recommend saving the file to your documents/tradelog/Import folder for best results. 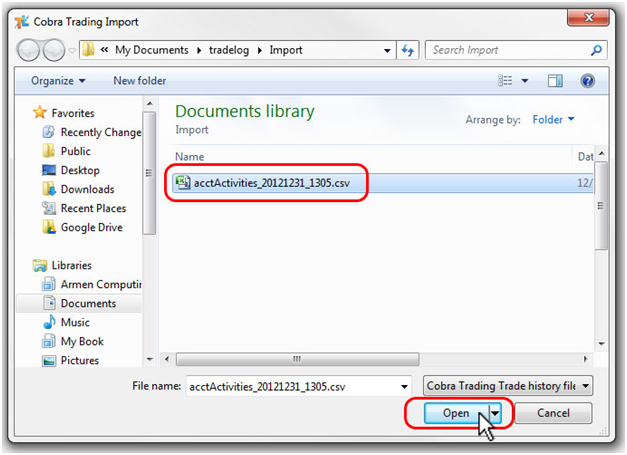 Run TradeLog and open your data file containing the brokerage account. 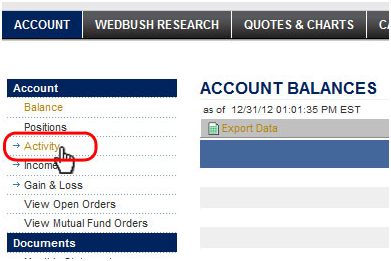 From the toolbar, select the broker import button for the appropriate WedBush supported broker. TradeLog will prompt you to select the file containing the data you downloaded. The default folder shown is documents/tradelog/Import. If you saved your downloaded file to a different location you will need to browse to that location. Select the appropriate CSV file then click Open. TradeLog will import the records and prompt you to save. 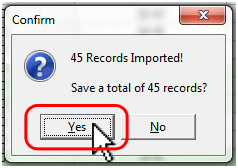 Click Yes to save and continue.